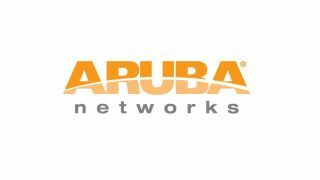 Aruba Networks has acquired Meridian Apps, a US start-up that offers an app-making platform for creating indoor map services for mobile devices, for an undisclosed sum. It's aiming to bring Meridian's platform together with its own wireless technology for smartphones and tablets to enable businesses to create services that combine locations with information gathered from users' devices. This could enable businesses to send details of in-venue promotions and discounts, along with directions on how to find them, to customers' mobile devices. Meridian's software is aimed at public-facing businesses including shops, retail centres, transport hubs and museums. They can use the platform to create custom-branded apps to help people find what they have to offer, and detailed analytics about visitors' travel patterns. Aruba recently revealed "disappointing" results for its latest financial quarter, which saw revenue decline 5% quarter-on-quarter to $147.1 million (£96.7 million), while product revenue decreased 7% quarter-on-quarter to $121.2 million (£80 million). On a conference call with analysts, Aruba co-founder and CTO Keerti Melkote said the addition of Meridian will let enterprises "tap into all their information so that they can better engage with customers with personalisation and real time analytics". He added: "This is a clear opportunity for Wi-Fi to become not only an enabling platform for 'bring your own device' but now across industries, a revenue-producing, customer engagement platform for the business."